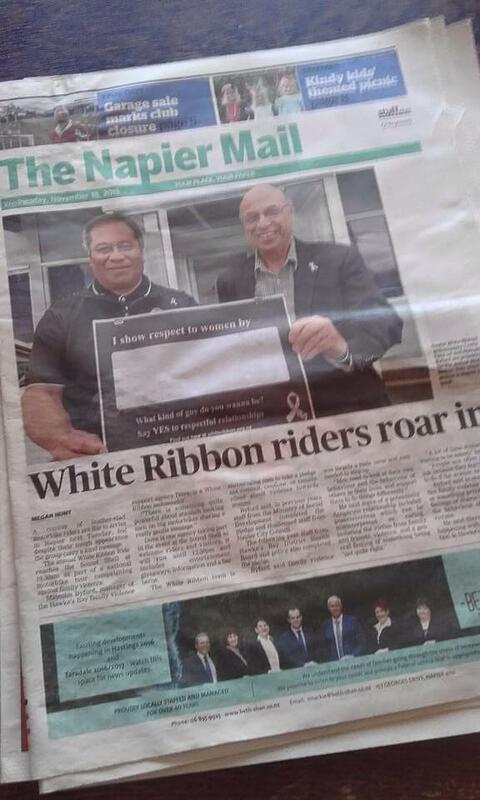 White Ribbon Ambassadors are a key component to the success of the White Ribbon Campaign – Men making a stand against all forms of violence towards women and children. For the campaign to be successful, men must be seen to lead and actively support the kaupapa. Ambassadors play a vital role in building support, visibility and developing a shared understanding of the campaign within their social groups, workplaces and communities. Ambassadors embody the principles of the campaign. They are nominated by the community and chosen for their willingness to challenge the behaviour of abusive men, and to convey key messages directly to their own communities.